Homeopathic remedies are derived from all kingdoms or matter. Some come from minerals, while large portions are also derived from plants. Animal-based remedies are also thought to account for about 20% of remedies used in homeopathy. These remedies originate from animal sources like snakes, marine animals, and insects. Apis mellifica is among the most popular sourced remedies made from the honeybee. In homeopathy, there are some important health benefits of this insect. As a homeopathic remedy, apis may be one of the best at treating insect bites, stings, or any sort of itchy skin. 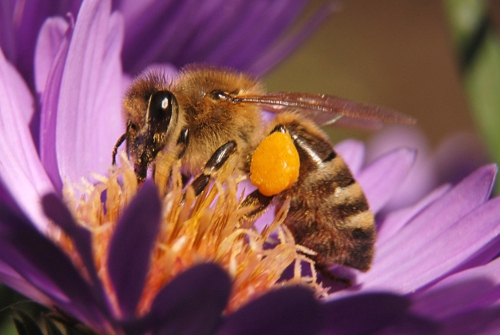 Interestingly, you use the female honeybee, including the stinger, to treat bee stings. Homeopathic apis could also treat edema, cystitis, fevers, and inflammation of the lips, eyes, mouth, or throat. Read on to learn more about homeopathic apis, and its many uses and health benefits. Apis mellifica is the biological name for the European honeybee or western honeybee. For thousands of years, since 4000 BC, the honeybee has supported humanity in many important ways. In fact, one 8,000-year-old painting found in the “Cave of the Spider” in Spain depicts an individual taking honey from a beehive. Ancient documents reveal that the honeybee originated in Egypt, where it was considered a sign of wealth, power, and health. Medical practitioners in Egypt would even regard the healing powers of honey greater than other substances. Aside from the honey, beeswax, and bee pollen produced from honeybees, bee propolis is a resin collected by bees from tree buds. Royal jelly is another nutritional supplement that is secreted from the glands of honeybees. It is remarkable that the female honeybee itself and so many products it produces are used in homeopathy to treat various health ailments. Once the whole honeybees or stingers are collected, the insect is chopped, crushed, mashed, dissolved in alcohol, diluted, and succussed. Some believe that a New York physician introduced apis into homeopathy in 1847 after the cure of a serious edematous kidney patient that was prescribed dried and powered honeybees from a native Indian medicine woman. Dr. Frederick Humphries is also credited with proving homeopathic apis in 1852. Homeopathic apis is often used for puncture wounds; stings or bites of insects like wasps, ants, bees, or mosquitos; and bites from dogs or snakes. It is also used for those with a bee allergy and symptoms of anaphylactic shock, like a swollen throat, difficult breathing, and a puffy face. Furthermore, apis is used for hives (urticaria) that may develop after a fever or chill. In the case of hives, bites, and stings, the skin may become swollen and itchy, and it can even be highly sensitive to the touch with a stinging pain and puffiness around the affected area. There may also be bumps that seem full of water. The hives may also occur during asthma, and the skin will be hot and dry before gushing sweat. Symptoms tend to improve from cool bathing or air, or a cold compress on the skin; however, symptoms worsen from heat, stuffy rooms, at night, or from putting pressure on the affected area. The homeopathic remedy profile is a significant indicator to help determine whether apis is the right remedy for you. Homeopaths often easily recognize the person likely to benefit from apis, since they tend to have personalities similar to bees. The person tends to be fussy, restless, irritable, and hard to please. They also spend hours cleaning and sorting, and sometimes at the end, they accomplish very little. They also have a vulnerable side that shows they are oversensitive, while they have a fear of being alone and need to surround themselves around others. The person also has a reputation as a “queen bee” that organizes everyone. Like a bee, they reserve a sting in their rails for people that upset them. They can also be very suspicious or jealous of newcomers to their group. Let’s take a look at some of the other key health benefits of apis. Edema is the term used for swelling caused from fluid retention within the body and tissues. The swelling may be the result of meningitis, arthritis, or peritonitis. Symptoms worsen from heat or pressure, but improve from a cold compress. Cystitis is inflammation of the bladder, and apis is used when there is burning and stinging pain in the bladder and urethra when passing urine. The person urinates frequently, but only small amounts of urine are passed. There is also kidney inflammation with puffy eyes and a lack of thirst. Apis is also used for an inflammatory kidney condition called acute nephritis. The last drops of urine will burn. Pressure on the bladder worsens symptoms, and symptoms improve from cool surroundings. Apis is also used for a fever with a lack of thirst, and possibly a sore throat. There is also a severe headache with stabbing pains where the head feels hot. There may also be chills, and dry and sensitive skin. Symptoms worsen from stuffy rooms, heat, and sleep. A study published in the journal Homeopathy in 2014 showed that homeopathic apis exerts significant effects on genes involved in oxidative stress and inflammation. It is not a surprise, since apis is traditionally used for inflammation of the lips, eyes, mouth, or throat. The eyes are often sore, red, and sensitive to light, and there are also hot tears. The throat and mouth are also swollen with burning pains. There is also a lack of thirst. Apis is often used for arthritis, especially osteoarthritis, when there is stinging and burning pains in the shoulders and knees. There is also great swelling around the joints. Sitting upright and cold applications improve symptoms, but heat and pressure worsen symptoms. Where do you find homeopathic apis? You can find apis online or at the health food store in pellet or liquid form. You can also acquire the homeopathic remedy from your homeopath, if they have determined that apis is right for you based on your physical, emotional, and mental symptoms. It is best to take one pellet or five liquid drops of the homeopathic apis every 30 seconds for intense and life-threatening, allergic reaction-type symptoms or every four hours for milder symptoms. Once there is improvement, stop the dosage; and repeat the remedy once the symptoms have returned. If there is no improvement after three doses, contact your homeopath for further guidance. A different dosage or remedy may be needed for chronic or persistent symptoms. As mentioned, apis is often used for hives, bites, stings, arthritis, edema, urinary conditions, fevers, and inflammation of the throat, eyes, mouth, or lips. “Cuevas de la Araña,” Wikipedia; https://en.wikipedia.org/wiki/Cuevas_de_la_Ara%C3%B1a, last accessed June 28, 2017. “Know Your Remedies – Apis Mellifica,” HomeopathyPlus! ; http://homeopathyplus.com/know-your-remedies-apis-mellifica/, last accessed June 28, 2017. “Know Your Remedies: Apis mellifica (Apis. ),” HomeopathyPlus! ; http://homeopathyplus.com/know-your-remedies-apis-mellifica-apis/, last accessed June 28, 2017.